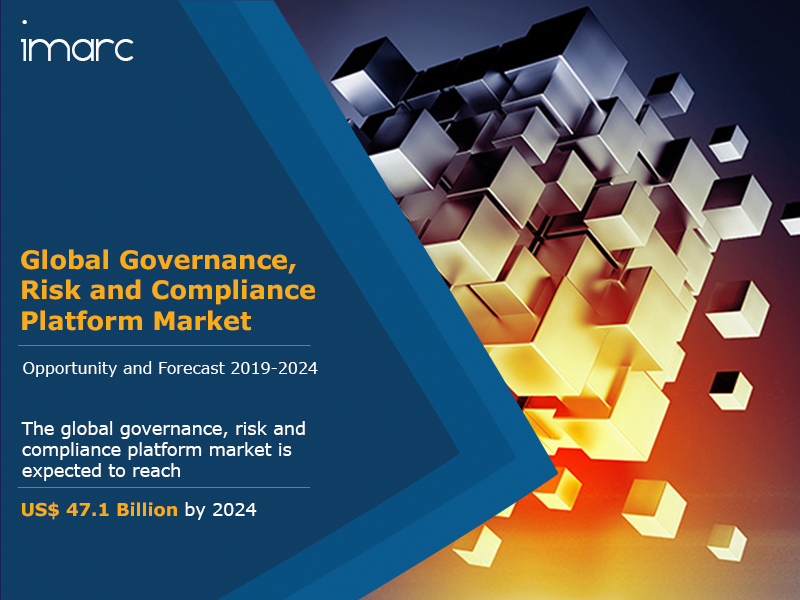 The global governance, risk and compliance platform market was worth US$ 24.9 Billion in 2018. Governance, risk management and compliance, or GRC, is an umbrella term that covers an organization’s approach to the areas of corporate governance, enterprise risk management and corporate compliance to the regulatory requirements. A well-planned GRC strategy has advantages such as better decision making, more accurate IT investments, exclusion of silos, and reduced fragmentation in various divisions and departments. GRC platforms assist companies to follow a systematic and organized approach for strategizing and implementing their GRC policies. They facilitate the use of a single framework for monitoring and enforcing rules, and help companies in managing risk, minimizing complexity for managers and eliminating costs of multiple installations. An effective GRC platform helps in identifying the problems even before they occur, centralizes the entire program in one place and integrates risk management across all controls and processes. A strong growth has been witnessed in the GRC platform market across the globe owing to a substantial rise in the number of emerging organizations which follow the prevailing corporate and government regulations. Moreover, as these platforms allow companies to achieve their GRC targets by automating the workflow, various organizations are adopting GRC platforms to enhance operational activities and offer a satisfying experience to employees. Further, firms are now using GRC platforms as a common approach to solve conformity and risk issues rather than solving them individually. Looking forward, the market value is projected to exceed US$ 47.1 Billion by 2024, exhibiting a CAGR of around 11% during 2019-2024. Based on deployment models, the market has been bifurcated into on-premises and cloud. Presently, the on-premises deployment model represents the biggest segment. On the basis of solutions, the market has been categorized into audit management, risk management, policy management, compliance management and others. Based on components, the market has been divided into software and services. On the basis of services, the market has been classified as integration, consulting and support. Based on the end-users, the market has been segregated into small enterprise, medium enterprise and large enterprise. On the basis of industry verticals, the market has been categorized into BFSI, construction and engineering, energy and utilities, government, healthcare, manufacturing, retail and consumer goods, telecom and IT, transportation and logistics, and others. Region-wise, the market has been divided into North America, Europe, Asia Pacific, Middle East and Africa, and Latin America. Amongst these, North America is the leading region, accounting for the majority of the global market share. The competitive landscape of the market has also been examined with some of the key players being SAS Institute Inc., IBM Corp, SAP SE, EMC Corporation, Microsoft Corporation, Fidelity National Information Services Inc., Oracle Corporation, Thomson Reuters Corporation, Newport Consulting Group, LLC and BWise BV. 17.3.6 Fidelity National Information Services Inc.